These kittens are very cute. Where is there native homeland? 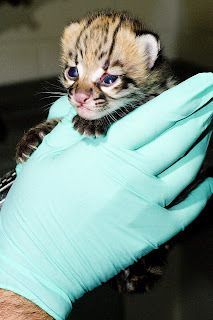 Wild ocelots are distributed throughout Mexico, Central and South America to northern Argentina, with tiny remnant populations still in the southwestern United States. 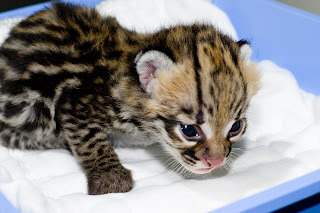 They, and their parents, are zoo-born and part of the Species Survival Plan, a network of US zoos that work to have genetically diverse animals.